Vicki has worked for over 35 years in the Real Estate industry and is extremely thankful for the people she has worked and trained with interstate who she believes are the best in the world! Her mentors and trainers, knowing that it takes a huge work ethic and her values of faith, family and career have all attributed to her success. Happily married to Rohan, her partner of nearly 40 years, living on a cattle property just north east of Launceston, they both enjoy the outdoors, their hobbies of horse racing and riding and keeping fit and healthy. Advising and assisting clients and friends to sell and buy properties is no longer considered a 'job' to Vicki. Her passion and mission to provide an outstanding service based on the highest standard of ethics, values and client care will not be compromised. 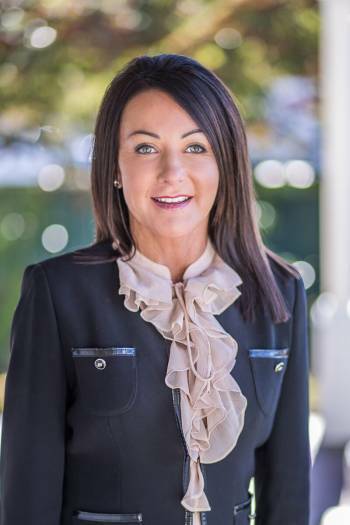 She is excited and looking forward to being part of Saunders Property Group building the business in the North of the State and feels equally comfortable selling both rural and residential property.